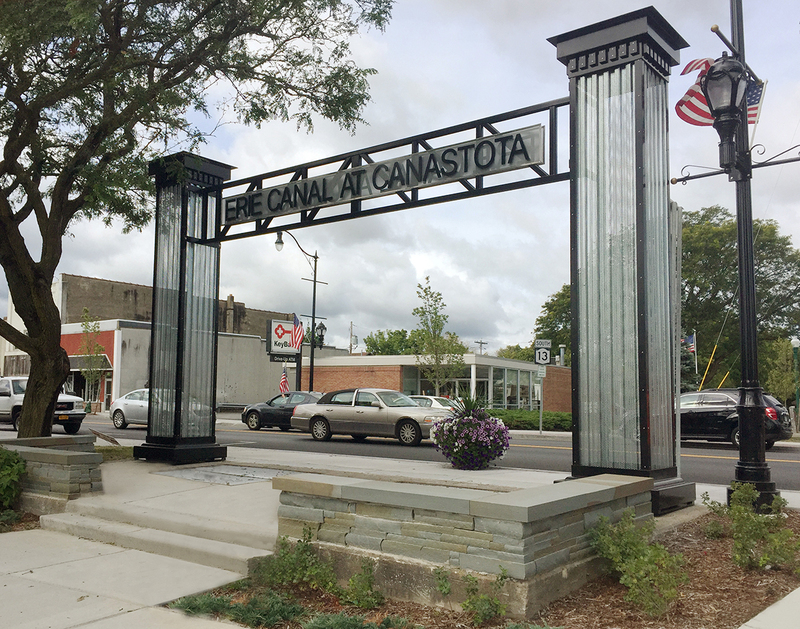 Downtown Canastota is working to become a more attractive pedestrian-oriented community and commemorate its Erie Canal history. 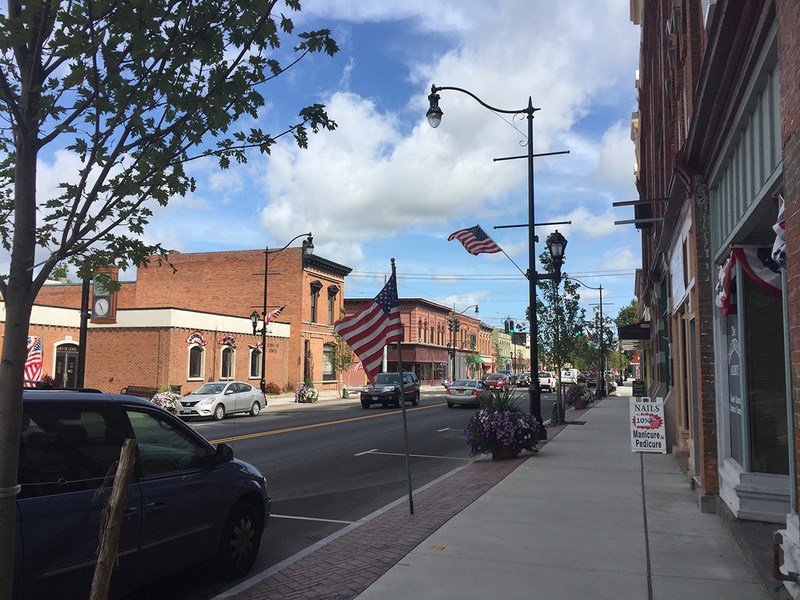 The Village of Canastota is the primary gateway to Madison County from the NYS Thruway, and is the only location in the county where the Erie Canal passes through a downtown business district. TWMLA worked from concept through construction to enhance South Peterboro Street in the heart of the historic village. 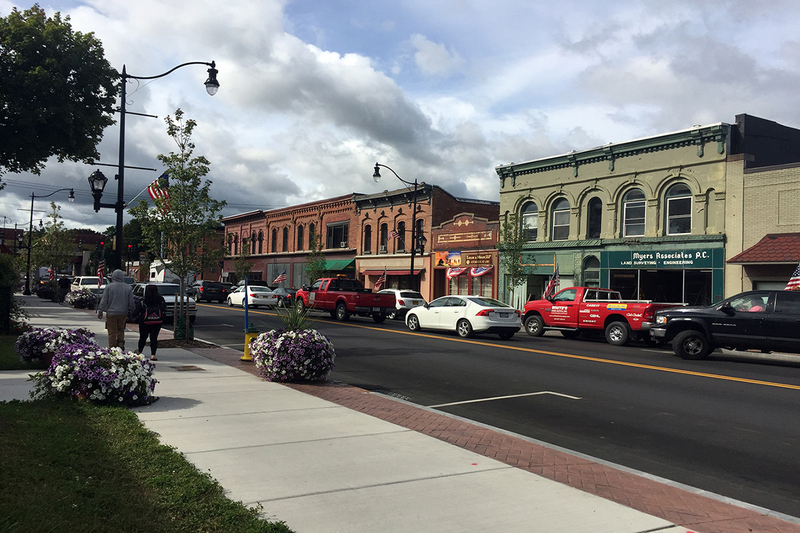 Along with physical improvements to all aspects of the streetscape and roadway, the character of the revitalized streetscape speaks to the historic legacy of the canal-era community, and of a renewed belief in the future of the village. Aging street lighting was replaced with period, pedestrian-scale lighting. A coordinated palette of site amenities brings new life and activation to the village core. A particular emphasis was placed on establishing the next generation of downtown street trees with the use of structural soils to provide expanded rooting volume to ensure tree health. 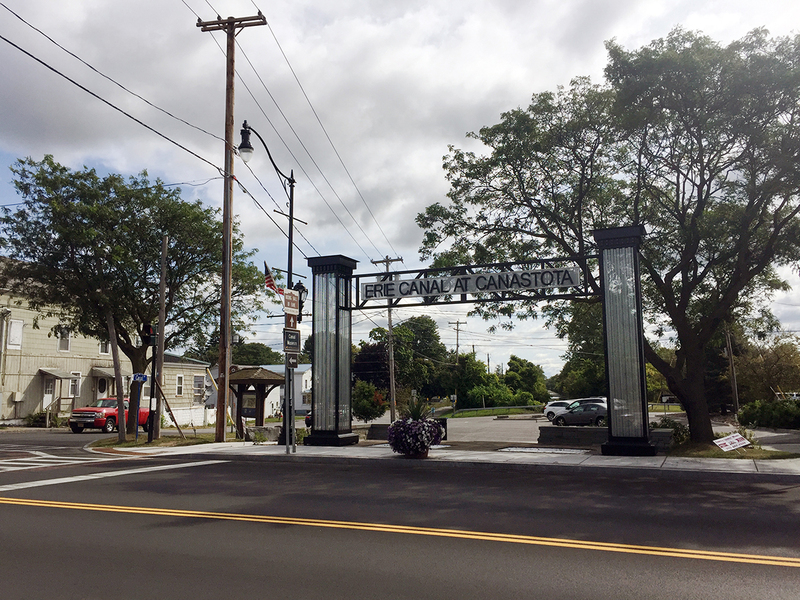 To respond to a desire to recognize the Erie Canal crossing below South Peterboro Street, TWMLA designed an iconic village gateway feature inspired by a former lift bridge that once carried South Peterboro Street over the canal at this location. The new interpretive gateway feature incorporates contemporary materials, stonework reminiscent of the craftsmanship found in the original canal infrastructure, and new efficient lighting. Large steel grates in the ground plane allow visitors to delight in the sounds of the Erie Canal rushing underfoot.